John 1:14: "One of Us?" We're home now from a really uplifting Christmas Eve service at the FreeWay, where I had the honor of giving the children's sermon. Because terra incognita will probably be on pause until the new year, I thought I'd post my notes from the talk I gave, to give you something to read between now and then. We'd invited children to come dressed in their PJs, and had a bunch of big old pillows for them to sit on at the front during the service, so as you read, try to imagine me sitting on the floor with about fifteen or so children, all in their PJs and humming with all the excitement of Christmas eve. Talk to you-- or blog to you (with you? at you?) in the New Year. Can I tell you about a time me and my family went to Disney World? While we were all standing in line to get some pizza, I happened to look up in the sky, and I saw this sort of thin looking cloud that looked like a long, white pencil stroke. And as I watched it for a minute, I realized that in a way, it sort of was a big white pencil stroke. Because it was an airplane with a stream of cloud coming off behind it, and this airplane was flying all zig-zaggy so that the cloud would spell out letters in the sky. And while I watched, it formed a big “J” and then an “E” and then an “S” (it was a long line up to get pizza). Anyone want to guess what the plane was spelling? [take responses] It was spelling: Jesus Loves You. And then, on the night when Jesus was born, the Bible says there were shepherds guarding their sheep out in the fields at night, and the angel of the Lord appeared to them, and it says: suddenly the brilliant light of God’s pure holiness and his perfect love was burning all around them—so bright that it stung their eyes, and they had to hide their faces from it—and they fell on their knees totally, and completely undone. And anyone want to guess what the angel said? So, I think that if an angel from heaven were going to write a message in the sky tonight, it would be: “Don’t be afraid." But I wonder why? Why do you think angels keep telling us folk here on earth not to be afraid? I think part of it has to do with the fact that... well there’s something about God—the real, true, living God?—there’s something about him that can be kind of scary to us. Like those shepherds, falling on their faces when the glory of the Lord shone round about them? I mean: when they saw how pure and holy God was, they were afraid, because they looked kinda shabby next to that—and when they felt how perfectly and completely God loved—they were afraid—because they looked kinda small and selfish next to that—and when they heard how beautiful heavenly worship sounded—they were afraid—because they thought, if we were to sing along, it would sound like nails on a chalkboard next to that. And what he means is: “Don’t be afraid of me. “Because I love you. And the thing is—anything between you and me that might have made it scary for you to be in my presence—well I love you way too much for that to stand between us. I don’t want you to feel like you’re being called to the principal’s office every time I speak your name. That’s not love. So I’ve come to you in Jesus to make peace—and in Jesus, I’m going change whatever might have made me scary to you—your shabbiness or your selfishness or your brokenness—I’m going to replace that with my holiness, and my goodness, and my love. So you don’t have to be afraid of me, anymore. But there’s more to it than that. Because, well, life with God can feel kinda scary sometimes, but you know what’s even more scary: life without God. I mean, sometimes people feel like they’re all alone in the whole wide world and no one knows what it’s like to be them. And that can be a scary feeling. And sometimes people think about the future and they have no clue whatsoever if things are going to turn out okay. And that’s scary. And sometimes people feel like everyone’s turned their back on them and no one loves them. So that night, when God’s angels started writing God’s message in the sky, the first thing they said was: “Don’t be afraid. You’re not alone in the dark. Because tonight, this very night, God himself has come into the world as a little human baby, to show you: God himself is with you in the whole wide world; God himself knows what it’s like to be you; God himself will turn things out okay in the end; God himself loves you. So don’t be afraid. And that’s good news. I didn't have Christmas in mind specifically when I set this poem to music, but today the words seem particularly suited to a Christmas Eve vigil. The text comes almost directly from this Vachel Lindsay poem. Happy Christmas, everyone. It would have been lovely, really—haloes of coloured Christmas lights shimmering just barely through the thick white haze—lovely, if it weren’t December 24th. By the time he reached the doors, the blizzard had piled a good couple of centimetres on his shoulders—the dandruff of heaven, he might have mused, if his mission hadn’t cleared all whimsical sentiments from his heart and replaced them with one single clear purpose, burning like a Christmas candle in the window of his soul: must find the perfect gift. (At 10:42 pm, Christmas Eve). But then his mission was burning in him with full flame again, and he pushed past Santa on his way towards the perfume-trinkets-watches-jewelery-sunglasses-make-up-and-other-things-generally-feminine section of the store. Surely if the perfect gift existed, it lay-to-rest under those gleaming posters of radiant young women in jewellery or makeup, photos hung like so many summoning angels over the respective products they announced. But by this time, the jewellery section itself was but a faint legend from the distant past, like stories about frankincense and myrrh washing up on the shores of Christmases gone by, and he found himself standing instead in the electronics section, of all places, trying to convince himself that nothing said Merry Christmas like a spool of re-writable CDs made in China. The two centimetres of snow had soaked through his coat now and had begun to trickle, like cold regret down his spine. But Nathan was already on his way towards the door. As he stumbled outside, into the haloes of coloured Christmas lights, that shimmered just barely through the thick white haze, he checked his watch: it was nearly midnight. The Triumphal Entry and the "True Meaning" of Christmas. Over the Advent season I've found the offertory prayer more difficult to write than usual. This is partly because the consumeristic spirit of Christmas these days leaves me hesitant to associate Jesus with the gift-getting impulse of our annual, year-end Saturnalia. Full confession: there's a growing part of me that deeply struggles when I hear things like "Jesus is the Greatest Gift of All" at Christmastime, because it leaves me wondering if we aren't really saying, or at least leaving non-Christians with the impression that we're saying: "Not only does Jesus endorse the hedonistic, consumeristic, materialistic frenzy of December, he is, in fact, nothing more (or less) than its ultimate climax." As I continue to wrestle with this, I thought I'd post a few of the gift-giving prayers we've prayed at the Freeway. As we pause in the middle of this busy time of year, it seems almost silly for us to say: Jesus is the Reason for the Season. The one who came to give us divine simplicity, pure generosity and holy rest; is he the reason for all of this hectic buying and getting and rushing around? But God, he is the reason for what we do in this place this morning, because he is your gift of life and love and hope to us. And his presence has always inspired joyful gift-giving in the hearts of his followers. So when three learned star-gazers followed the omens at his birth and found him lying in the lap of his virgin mother, they gave gold and frankincense and myrrh in humble awe. And later when he came to eat in the house of a humiliatingly-short tax-collector who’d climbed a tree to get a glimpse of him, that tax-collector gave half of all he owned to the poor for pure joy. And later still, when he sat in the house of his friends the week before he would be executed, a woman named Mary gave a pint of pure perfume, poured a year’s wages-worth over his feet and wiped it with her hair in deep gratitude. God, can you inspire that kind of gift-giving in us again? And as we worship him through our gifts and offerings today, we invite you to teach us once more the divine simplicity, and pure generosity, and holy rest that is your gift to us in Christ Jesus. We want to do it with the all trust and simplicity of a child. only if we could receive it with the humility of a child. Yet what I can, I give him, give him my heart. One of the courses I took when I was in Seminary was called "Outreach Ministries of a Vital Church." It was primarily about how to engage our contemporary, post-Christendom culture with the message of Jesus. 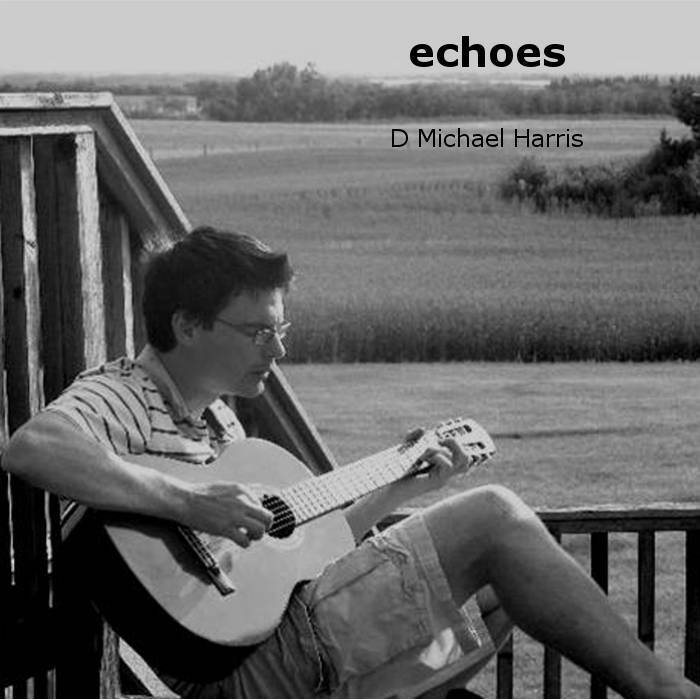 For our final project, we were supposed to develop an introduction to Christianity that presented the faith in ways that avoided the typical "Christian-ese cliches" and "theo-jargon" that often just comes across as so much opaque God-speak for someone with little-to-no Christian background. At the time, I think, I kind of missed the point, and for all my efforts to avoid it, the material I put together turned out to be denser with Christian jargon than I even knew. That was a number of years ago now, and at the time it was an entirely academic exercise, but since becoming a pastor I've revisited this question: how do we share the message of Jesus with a culture that didn't grow up on Sunday School flannel-graphs, but instead on the one-dimensional caricatures of Evangelicalism that modern media hawks at us? As a second kick at that ponderous cat, I recently put together a seven-week introduction to the Christian Faith called "How One Man Changed the World." Throughout, I tried to present the story of Jesus in ways that avoided opaque Christian-ese. Last night I finished teaching this course a second time; response has been positive. Some have asked if I could make this material available, and I thought the easiest way would be to post it here. You can click on the picture to the right to download it. I welcome feedback: it could still stand some jargon-trimming, probably, but I think I came closer to answering the question this time. I've been thinking quite a bit these days about the incarnation. 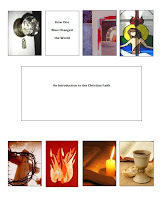 And not just because 'tis the season; it's because I've been working on a course about "the missional church" for my denominational ordination, and one of the recurring themes in the material I'm reading is the idea that because "the Word became Flesh," in the remarkable way that he did, the church is called by implication to be "incarnational." This logical move, from "incarnation" to "incarnational," is so common among missional-church literature these days that it goes almost unexamined: because God became flesh in Jesus, we're supposed to "enflesh" our message. For those of you who don't spend a lot of time perusing missional-church literature, let me explain a bit more: when they say "incarnational," what books like this mean is that we can't just "tell" people that God loves them, we need to give that message "flesh," by loving them ourselves (and it has to be in concrete ways, feeding those who are hungry, clothing those who are shivering, embracing those who are outcast). When they say "incarnational," they mean that it's not enough for us just to "believe" in inward-looking, isolated ways and places, but we have to give our faith "flesh" by "getting out there" with the message, going where the people are (and again it has to be in concrete ways, usually (at least in the books I've been reading) in conveniently cool ways like opening a cafe where people can talk about spirituality, or visiting the local pub to talk about Jesus, or hosting rock concerts and poetry readings for secular people). Before I say what I'm about to say, let me say that I agree with books like these when they say that if what we believe about Jesus stays in the abstract and we don't live it out in concrete ways, then we aren't experiencing biblical Christianity. I hold as much to the authority of James 2:20 as to the authority of Romans 10:9. And so I'm all for feeding people who are hungry, rubbing spiritual shoulders with people who don't know Jesus, even poetry readings (see here and here). In this, at least, they have my ear. But the other day it occurred to me that, when we call all this "being incarnational," or when we use the doctrine of the "incarnation" as a foundation for this, we're probably not experiencing biblical Christianity, either. My friend David has some thoughts on this subject that are worth reflection (he actually uses the "b" word). But since some of us will sing the words "Pleased as man with men to dwell, Jesus our Immanuel" more than once this month, let me offer a few more reasons why, theologically speaking, I'm not "incarnational," at least not the way the books I've been reading tell me I should be. First: When we talk about "being incarnational" we reduce to death-dealing Law one of the most profound declarations of life-giving Gospel ever announced to the world ("Unto you is born this day in the City of David a Saviour, which is Christ, the Lord") Put differently: the Incarnation is about what God has done for the world in Emmanuel, not what we must do for the world as followers of Emmanuel; and when we move from the doctrine of the Incarnation over into "Incarnational mission," we just throw people back on themselves, telling them to do for themselves what only God can do, instead of offering them the unquenchable grace of God, who comes to us in the flesh and blood of Jesus Christ. Put differently again: the Historic Faith has always understood the incarnation as a fundamental piece in the puzzle of soteriology (so Gregory of Nyssa on the incarnation: "What God has not assumed, God has not saved"); and maybe only in the utilitarian, semi-Pelagian, materialistic paradigm of late Evangelicalism, where salvation is strictly limited to a transaction made (so quickly) at the cross, could anyone talk with any seriousness about the Incarnation as work we're called to do (so Hybels: "the local church is the hope of the world.") Put differently one last time: Incarnation is about God's act to save us; Incarnationality is about our act, in essence, to save ourselves (and if that sounds over-blown, note how most missional church talk ties our need to be "incarnational" with the fact that the church is in serious decline in the west-- i.e. : if we don't "get out there," our thing won't survive). Okay, that's First. Now Second: The Bible already has a pretty clear and direct way of talking about how we are supposed to live in response to the Gospel, and it's not "incarnational," it's "cruciform." We're explicitly called to take up our cross (Matthew 16:24), to share in the sufferings of Christ (Romans 7:18), or as Paul so audaciously puts it, to fill up the sufferings of Christ (Colossians 1:24). 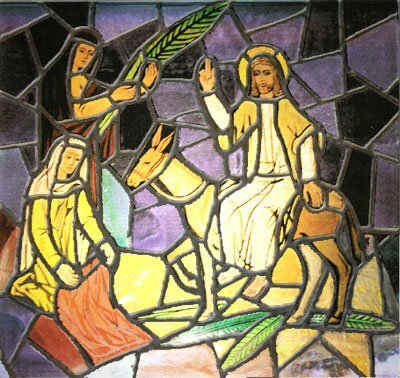 Biblically speaking, the mould for the Christian life is shaped like a cross, not a manger; and only if we let the Incarnation be the good news that it really is (instead of turning it into cheap Law) could we ever talk about answering the call to the cruciform life with any seriousness (i.e. only if we are fully assured that God really is with us in the muck and mire of our deepest suffering can we have any hope in taking up our cross and following the suffering Christ). And this distinction matters, because I can be "incarnational" by doing what I already enjoy doing (say: going to the pub or the rock concert), I just need to tag Jesus onto it to make it somehow "missional"; but I can't be "cruciform" without a radical and fundamental realignment of how I see the world and what I care about in the world. And as I say this, I wonder: could this relatively new reading of the Incarnation be Modern Evangelicalism's subconscious effort to salve it's throbbing conscience over the fact that, by and large, it's returned a vacillating "I cannot come" to Christ's invitation to the cruciform life? Last night my son had his season-end tournament at the fencing club he's part of. Here's some footage of one of his bouts (that's him on the near/right side). How did he do in the tourament? Well, I don't want to sound like a "fencing dad" or anything, but fans of The Princess Bride will understand me when I say: if ever I'm stabbed by a six-fingered man, I know who I want avenging my death. 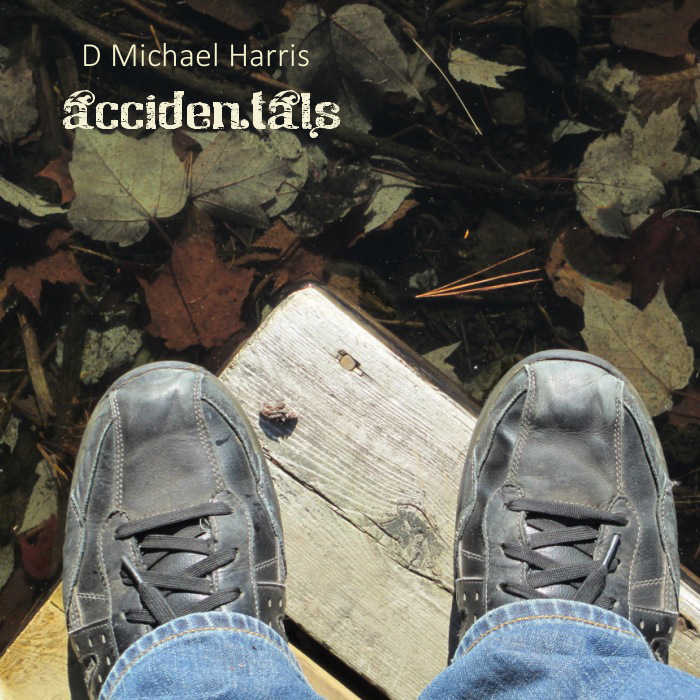 And further to yesterday's musical reflections on the start of Advent, I thought I'd re-post this song I wrote a while ago about waiting for the Second Coming. It's called "Wish You Were Here." It might just be the fact that I was reading it at 1:30 in the morning yesterday, but this exchange from Mark Helprin's very excellent novel, A Soldier of the Great War hit me deeply. To set the scene: Alessandro (who studied aesthetics prior to the outbreak of World War I) is a soldier of the Italian army condemned to be executed for deserting his post (his commander had been murdered and he knew he would be framed and condemned for this crime anyways); Ludovico is his Marxist cellmate. Ludovico ... was informed that he would be tried on Thursday with fourteen others of his brigade. The judicial apparatus was now working without pause: thousands of new prisoners were headed for Stella Maris, and the cells had to be cleared. Ludovico now began what appeared to be a series of desperate calculations. It was as if he felt that in a clarified understanding of the workings of economics he could make himself comfortable with the notion of eternity-but due to the minimal relation of economics and eternity, he was forced to calculate faster and faster, and to no avail. "Marxism won't carry you into the next world," Alessandro said. And then he asked, "How can you reserve your most sacred beliefs for a descriptive system, and one that is imperfect at that? I can't imagine myself believing in trigonometry or accounting, and yet you guide your soul according to a theory of economics." "It won't fail me as surely as your system will fail you." "I don't have a system." "What is it? It is the overwhelming combination of all that I've seen, felt, and cannot explain, that has stayed with me and refuses to depart, that drives me again and again to a faith of which I am not sure, that is alluring because it will not stoop to be defined by so inadequate creature as a man. 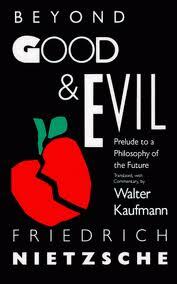 Unlike Marxism, it is ineffable, and it cannot be explained in words." I've not finished the novel, but I can say that Alessandro slept soundly that night, and walked unflinchingly to face the firing squad the next morning. Yesterday marked the start of the Advent season. I won't wax vehement here about the way Evangelicalism tends to run rough-shod over the Advent Season, jumping the Christmas Cheer gun and celebrating the Baby Jesus with carols and "Reason for the Season" banners and what not, all in the lead up to December 25, and then ceremoniously dropping the whole thing December 27th, after the presents are all open. Except to say that, traditionally, Advent is supposed to be about the delayed gratification of waiting-- waiting for Christmas, waiting for His Coming, waiting for the light; and the "Christmas Season" for which the Baby Jesus is "the Reason" are the twelve days between Christmas day and the Feast of Epiphany on January 6, (the twelve days of "Partridge in a Pear Tree" fame). But since we don't do delayed gratification (or sacred calendars for that matter) all that well any more, the theological significance of the Advent season gets discretely glossed over and we let the department stores tell us when to start celebrating Christmas. But I said I wouldn't wax vehement. Instead, in the interest of rekindling appreciation for this season of "holding our breath," I thought I'd post some Advent Carols I recorded a couple of years ago. Enjoy; and happy waiting. And this is my "version" of the Advent carol "Come Thou Long Expected Jesus" (set to the tune of "As the Deer," set to an alternate guitar arrangement I've been experimenting with for a while). "And incarnation is good news for us, today. Because incarnation means that God has entered fully into our gloom, whatever it is; God has entered lovingly into our darkness, wherever it is; God has entered completely under the shadow of death, for us, wherever that shadow might fall. And incarnation means that there is now no part of your life that he hasn’t taken onto himself—no corner of “being human” that he hasn’t swept out for you—no stone of your flesh-and-blood reality that he hasn’t turned over with his love. And incarnation means that the word “God-forsaken” no longer now has any meaning for us. Because when God became flesh like that—in all the weakness of a newborn baby—when he came to us like that—he proved to us that there is now no place in heaven, or on earth, or under the earth that could ever cut you off from the love and light of God. I mean, if God himself came as a homeless baby born to an unwed mother in the straw and muck of sheep pen—well—is there any place left that might now separate you from him? For to us a child is born—and whatever your deepest expectations are—delivery from despair—victory over hurt—the end of injustice—the healing of wrongs—the restoration of what’s broken—the renewal of what’s wasted—whatever your greatest expectations are, Isaiah says: God meets those expectations in the most unlikely way imaginable: through great humility of a newborn child. " “Better a little with the fear of the Lord / Than great wealth with turmoil. those words still cut to the heart of the matter today. because of our endless striving for great wealth. That suggestion cuts against the grain, Lord. We’re going to need the wisdom of Solomon, here. and the wisdom to let go of our tumultuous accumulation. Because it’s in Jesus’ name and for his sake we pray. God those are sobering words. But we want to know the love of God in us. And we want to love each other, not with fine sounding words or empty speech, but like that same writer said: with actions, and with truth. So God, can you continue to shape us as that kind of a people today: people who show in word and deed together that the love of God really is in us. People who—when they see their brothers or sisters in need—they overflow with your compassion, your mercy, your love? And as we set aside some of our material possessions today, to help in those concrete moments when we see a brother or sister in need, God, we pray in advance for the people you want to bless with these gifts—because you already know the needs that this money will meet— may it find its place in your good plan to show the world what the love of Jesus looks like, because it's in his name and for his sake we pray. As we prepare our hearts to worship through our tithes and offerings, we remember the story your Son Jesus told us, about a farmer who sowed seed: how some of the seed fell on rocky soil and wouldn’t grow, and some was snatched away by birds, and some was choked out by weeds. Later Jesus explained that the seed was the message about your love, and the weeds that choked it out were the worries of this life, the deceitfulness of wealth, and the desire for other things. God we’re remembering this story today because we’re about to make an offering of money, and we don’t want the desire for stuff or the deceitfulness of wealth to choke out the message of love that Jesus is speaking over us now. So God, can you do some weeding in us? Uproot anything in us that might try to choke out his message for us today, weed out every false desire and every empty ambition in us, so that his word might bear fruit in us. We ask this in Jesus’ name and for his sake. A few years ago my parents visited my aunt and uncle, when they were working in the middle eastern country of Tajikistan. Knowing I have a curious spirit when it comes to musical instruments from far away places, they brought me home a gidjak. A gidjak is an instrument that resembles a violin, but you play it upright, resting it on your knee. Its sound is a bit of a curiosity: something like a violin, but less pitchy and more humming. You can find out more about the gidjak (and hear one being played by someone who knows what he's doing) here. Anyways, after watching a few youtube videos to get an idea of how it's played, I thought I'd try my hand at writing a song for my gidjak. After much trial and error, here's what I came up with. And as you listen, please rest assured: I have no pending plans to quit my day job. 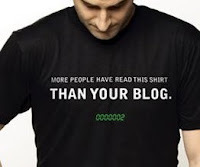 The other day I was talking to a friend who was thinking about starting a blog but didn't know if, or where to start. After the chat I was still mulling over some of the lessons I've learned in the last year and a bit of blogging (real practical lessons, mind you, not philosophical epiphanies or lead-in-to-a-joke kind of lessons). In what follows I defer completely to those who have been doing this longer, but here are some practical rules of thumb I've found helpful. 1. Decide why you're doing it before you do. In my experience, blogging can be a sort of love-hate experience (especially if you're committed to items 2-5 below). The blog, in one sense, is never satisfied. Unlike a paper, or a sermon, or a story, it's never "done," and next week the post you just spent hours crafting will feel kinda stale and you'll have to start all over again. Knowing why I started doing this, after all, helps on those days when it feels it would be easier to just pull the plug. 2. Keep them short. This was a real tough one for me, starting a blog straight out of seminary and all, but the discipline of keeping my blog posts to around 500 words has (I think) improved my writing generally. It's curious, but I find writing a 500 word post harder than a rambling 1100-er. Go figure. 3. Keep it coming. This is a tough one too, but I've found that consistent posting is a really helpful discipline (he says after eight days of silence....); it develps the habit of regular writing, and once you find the groove, it makes the general experience of blogging more pleasant. 4. Plan ahead. Keeping a running list of possible post ideas as they come to you really helps with #3, especially when that computer screen is staring you down, a week since your last post, and you still don't know where to start. 5. Write ahead. This helps a lot with #3, too. I took a couple of weeks a while back and hammered out ten or twelve short back-up posts which I keep on file for those weeks when the well's dry or I don't have much time to put down the bucket. 6. Take breaks. Rather than just letting things peter out, I've tried to take intentional hiatuses (hiatai ?) from blogging when I find my creativity or energy is flagging, setting a specific stop-and-re-start date for myself. The few times I've done this I find I come back blogging with renewed enthusiasm. 7. Use Dropbox. Dropbox is an easy-to-use online file sharing service and about the quickest way I've found to include additional content (files, word documents, pdfs, video games, etc) in your posts. Just put it in your dropbox and then include a link on the blog. Done. 8. Use videos for podcasts. 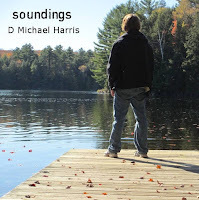 When I started I wanted to embed audio files in some of my posts. Doing some research I discovered this is a lot more tricky than it sounds. I found lots of ways to embed audio using html code, but the problem was it didn't always work, depending on the browser you were using. Often it "forced" the music which is really annoying. And you always needed off-site hosting. The simplest solution I've come up with is to convert my audio to a video file, setting it as the sound track to a blank black screen. You can then upload it simply and cleanly straight to the blog using the "add video" feature, and Blogger's video driver takes care of the rest (because I prefer the way it looks, I go in after and adjust the dimensions of the driver in the html code, just to make it more resemble an audio file). 9. Have regular "features." Another one for the sake of #3. Keeping a few "regular features" (e.g. a "movie of the month," book reviews, etc.) helps you with built in post ideas for when the idea-pickings are scarce. With definitions like these, who needs obfuscation? Is it just me, or is the following "working definition" of "missional church" frustratingly tautological? So a working definition of missional church is a community of God's people that defines itself, and organizes its life around, its real purpose of being an agent of God's mission to the world. In other words, the church's true and authentic organizing principle is mission. When the church is in mission, it is the true church. The church is not only a product of that mission but is obligated and destined to extend it by whatever means possible. The mission of God flows directly through every believer and every community of faith that adheres to Jesus. Don't get me wrong, the rest of the book is edifying and thought provoking; and even in the above quote, I take his point that the church needs to define itself in terms of the Missio Dei. But to say, in essence, that a "missional church" is nothing more or less than a "church that is missional" just brings us full circle, with no clearer understanding than when we started of who we are and what we're called to do and be as Jesus' people. It leaves me wondering if, twenty years from now, books on emergent ecclessiology won't seem like the lava lamps of the ministry book shelf, dated novelties casting their dim but colourful light through shifting blobs of ideas like "missional" and "incarnational community" that swirl around like so much luminous goop. one day we’ll stop training for war. We’ll trade our guns in for gardening tools, and our bombs for bread baskets. we remember that it hasn’t come yet in all its fullness. Brother still rises up against brother. Nation still takes up sword against nation. And training for war is still a reality in this hurting world. and bring them home safely. for the safety of their loved ones. protect them all in your wisdom as they give of themselves to protect us. and let the Shalom of God reign. because they will be called sons God. 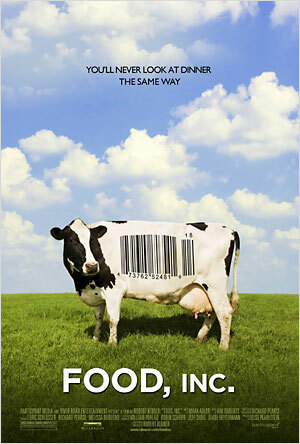 Food Inc. This unflinching look at the industrial food industry leaves you with a creeping feeling in the pit of your gut and a lot of difficult questions about where our food comes from and how it arrives on our plate. Michael Pollan's In Defense of Food and Bill McKibben's Deep Economy had already briefed me on the argument that the modern food industry has created some pretty serious moral, environmental and health crises for us, but the film's aerial shots of huge feed lots and its footage of mass-production "chicken factories" were no less disturbing for all their being expected. What Food Inc. added to the discussion was its look at how the interests of big money pretty consistently trump the interests of human well-being in policy- and law- making when it comes to the American food supply. In Debt We Trust. 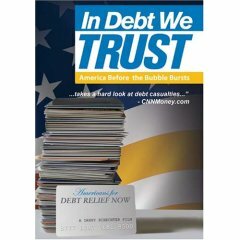 One of two films I watched about the credit crisis in the United States, In Debt We Trust puts a human face on the realities of predatory lending and deregulation in the American credit card industry. Produced in 2006, mere months before the "bubble" actually burst, it makes some ominous predictions about a coming economic collapse that have turned out to be hauntingly accurate. For all the gargantuan numbers it tosses around, at times In Debt We Trust seems to over simplify the issues, painting a black-and-white picture of a Darth-Vader-esque credit card industry swallowing its innocent victims whole, who, through no fault of their own, find themselves swimming in a sea of inexplicable and inescapable debt. 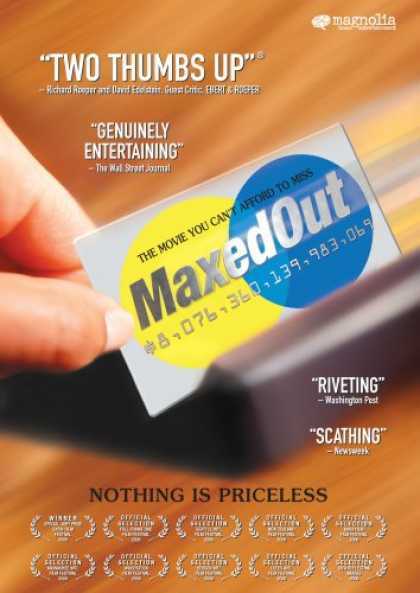 I don't doubt that the credit card industry is just as brutal, greedy and callous as the film makes it out to be, nor do I deny that this represents a serious moral crisis with global implications. I wonder, however, if the existence of a 926 billion dollar credit card debt in America is actually just the symptom of a deeper cultural malaise--the rampant materialism, the spiritual vacuity, the creeping shadow of ennui, the ego-centric sense of entitlement, the impulse to bury our heads in the illusory sand of the entertainment culture-- stuff like that-- stuff that we're all culpable for and capable of, not just the evil credit card industry that's willing to loan us the money (at 30% interest, of course) so that we can pay for it. To its detriment as a documentary, In Debt We Trust never asks any serious questions about this cultural malaise, preferring instead to point a single self-righteous finger at the corrupt politicians and bloated bankers. Maxed-Out. Maxed-Out repeats the same gargantuan numbers, interviews many of the same economic analysts, and even includes some of the same footage as In Debt We Trust. Its interview of two collection agency guys is down-right creepy (like when the one compares his work of harrasing helpless debtors to a competitive athlete who's found a way to make a game he loves to play pay the bills), and some of the stories are really heart-wrenching, stories of people with the tread-marks of an unregulated credit card industry on their necks and spirits. The palette with which Maxed Out paints the picture, however, is bit less black-and-white than In Debt; and to its credit, it doesn't attempt any of the failed lunges at tongue-in-cheek satire that make In Debt feel sort of silly at times. In the cool-down time of my little week-long documentarathon, I've been thinking a lot about St. Paul's declaration in the book of Colossians that God has triumphed over the powers and authorities in the cross. 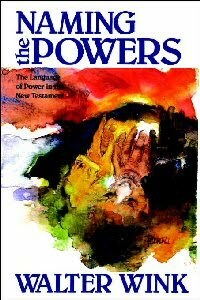 Walter Wink argues that when the Bible talks about "the powers" like this, it's referring to the invisible structures of human society, the spiritual dimmensions of the political, economic and cultural institutions that we put in place to help us control and define our life together, and that inevitably turn around and start to control and define us instead. Wink suggests (very compellingly) that when Paul says this kind of thing about God "disarming" the powers, he means that through the Cross and the Spirit of Christ, humans can be set free from these "invisible structures" in a way that allows us to see them for what they really are, and redeem them with the wisdom and love of God. If Wink is right, then the cultural malaise, the political corruption and the corporate greed illustrated in movies like Maxed Out and Food Inc are concrete examples of "the spiritual powers" in our world; and if St. Paul is right, then the Word and Spirit of Christ offers us the best, and only real solution to the deep social crises that these films are attempting to disarm. 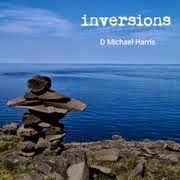 A while back I shared some thoughts on the Top 10 Reasons I Listen to CBC Radio. A reason I might add to the list if I were to update it today is the Saturday afternoon program called Definitely Not the Opera (so called, I found out recently, because it airs opposite the CBC Radio 2 program, Saturday Afternoon at the Opera). If you've never heard it before, let me explain. In concept, the show takes a broad theme related to contemporary culture-- last week's theme was "small gestures"-- and then puts together a meandering itinerary of stories, songs and interviews all related to said theme. Over the course of two hours, it covers a lot of ground, from the inane, to the academic, to the curious, to the profound. The host, Sook-Yin Lee, has a warm way with interviews and an unpretentious knack for storytelling. As a pastor, I find DNTO so compelling because it challenges me to think about the spiritual dimensions of everyday things ("the power of story" for instance, or "the place of small talk") and it gives me a chance to hear how people in our culture are experiencing things that the Christian Faith actually speaks to in a meaningful way ("the motivating power of guilt" perhaps, or "gain through personal sacrifice"). It's a 2 hour exercise in what they sometimes called "cultural exegesis" when I was in Seminary: listening to the deepest questions of culture and reflecting on what Word the Christian Faith might add to the conversation. The episode on "forgiving and forgetting." The "getting kicked out" episode. 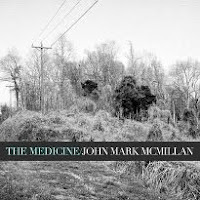 About a month ago a friend of mine suggested I check out John Mark McMillan's latest CD called The Medicine. 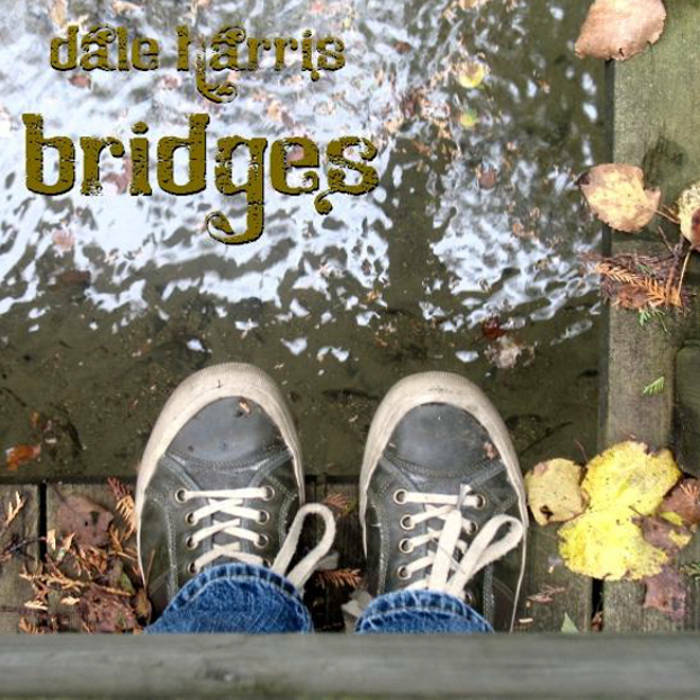 I've been pretty disillusioned with the "Worship Music" genre generally these days (my glowing review of Downhere last August not withstanding), so I have to say I put it in my stereo with not a little skepticism. But somewhere around the middle of track 2, I knew I'd found a keeper. Lines that stopped me dead in my tracks tumbled out of the speakers with a pathos and humility and honesty that spoke to the the heart and the gut and the head all at once. Lines like: "We want your blood to flow inside our bodies / We want your wind inside our lungs." Or: "When you walk into the room you know we can't resist / Every bottle of perfume always ends up on the floor in a mess"
The cripple by your side"
They once asked the poet Philip Larkin why he wrote poetry, and he said something like: "Because no one's writing the kind of poems I most want to read." I always felt that answer explained why I tried to write songs-- no one was writing the kind of songs I most wanted to hear. I guess I'll have to find a different answer, maybe, now, because there's something happening on this disc I've been looking for, musically and lyrically speaking, for a while now. Usually when I post book lists, I have formative or compelling reads in mind. But yesterday I was thinking wistfully about books I started with high hopes and good literary intentions but, through the vicissitudes of time or machinations of fate, somehow never finished. As an avid reader, it was a humbling exercise. 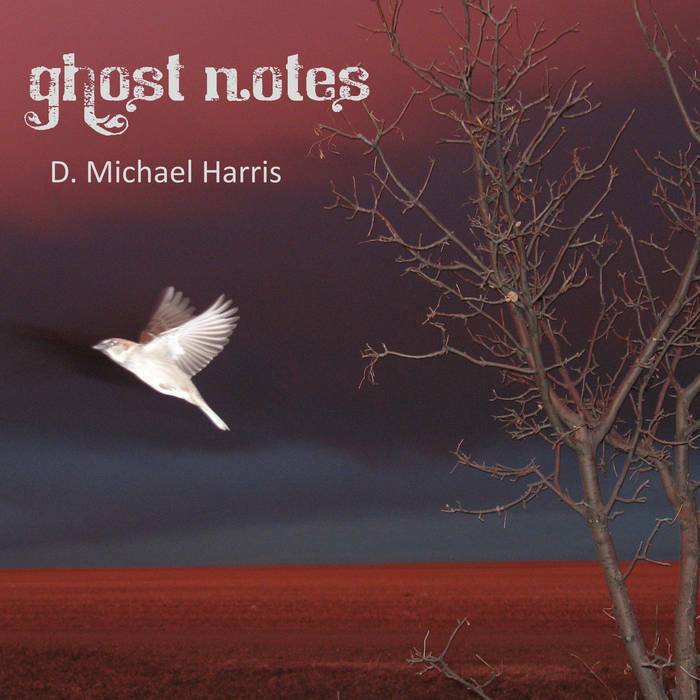 So here's my list of the top ten literary ghosts of my past, rattling their unfinished chains at me from the dusty corners of my bookshelf. What about you? Any books back there that you started with the best of intentions only to get bogged down and abandon somewhere between "Once upon a time" and "happily ever after"? 10. 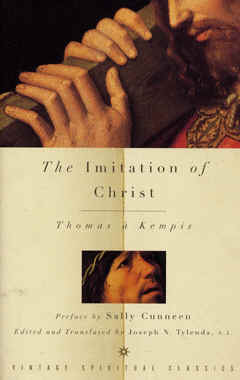 The Imitation of Christ,Thomas a Kempis. I've tried twice to wade through this medieval masterpiece of Catholic piety, and something about it always escapes me. I made it to the end of Book 1 and at page 450 or so, I was still only half way through. I sat for a moment in a staring contest with Book 2, until Book 2 won. (Later I sat through all 3.27 hours of the Man of La Mancha, so maybe in that I'm redeemed). They told me this was a masterpiece of an English Novel but I could only get down the first 90 of its 800 or so pages before it lost me. 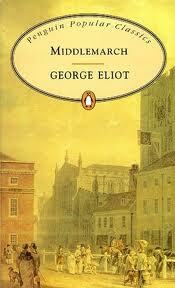 Later I read Silas Marner and loved it, so maybe Middlemarch is worth a second attempt. 7. Beyond Good and Evil, Nietzsche. Maybe if I were a nineteenth century German existentialist, this book might have seemed far less pompous, angry, and ridiculous; as it was I'd lost all ability to take him seriously after the first 50 or so pages. 6. 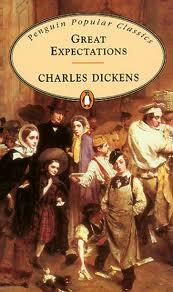 Hard Times, Charles Dickens. 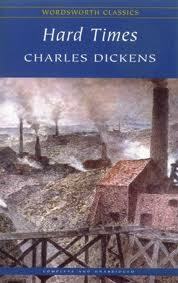 For the record, Tale of Two Cities ranks high on my list of favorite novels, so it's not Dickens himself, but somehow the times in Hard Times were a bit too hard for my patience. I think I reshelved it after chapter 1. 5. Great Expectations, Charles Dickens. See the disclaimer about Dickens on #6 above, but to be honest, while I could recognize the genius of this novel, I never quite made it to the end. 4. 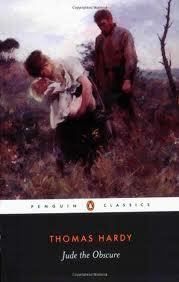 Jude the Obscure, Thomas Hardy. Tess (of the d'Urbervilles) is one of my all time favorite heroines of English fiction, so I tackled Jude with quite high hopes. I'm not sure where or how, but at some point the whole plot seemed to unravel for me and I couldn`t muster up the sympathy to read Jude's sad tale to its (by all accounts) pathetic end. 3. 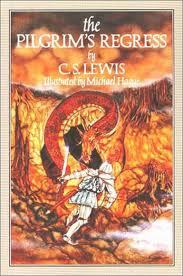 The Pilgrim's Regress, C. S. Lewis. Funny enough, I really love this early Lewis book, and I've read it all the way to the last few chapters something like three times; but somehow it derails for me in its final throes, and I can't track the allegory through to the end of its last 20 pages. 2. The Pilgrim's Progress, Bunyan. 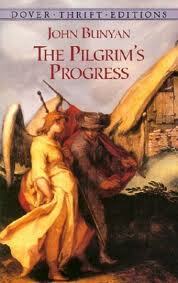 And speaking of allegorical pilgrims, to my great chagrin I confess here that I never finished The Pilgrim's Progress. Moment of silence. I read Book I dutifully (and it was dutifully) but somehow I couldn't find the energy to do it all over again with Book II. 1. 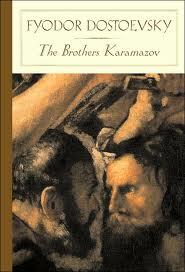 The Brothers Karamazov, Fyodor Dostoyevsky. 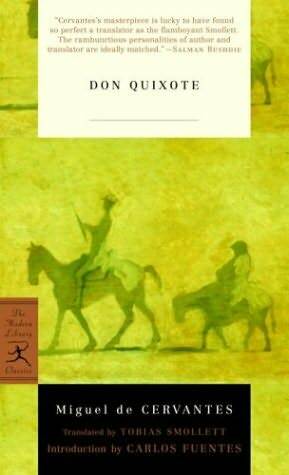 Because people I respect deeply deeply respect this novel I did my best, but somewhere in the Russian Monk's life history, I trailed off and have never (yet) found my way back. God, as we prepare to worship through this act of offering today, we invite your Holy Spirit to remind us that really, we all come to you empty handed. We have nothing to offer the Creator of the Universe that isn’t yours already. We have nothing to give a perfectly pure God that isn’t somehow muddied up with our human ambition and agendas. Nothing to do for the Lord of the whole Earth that you couldn’t do for yourself. And yet by your beautiful and mysterious grace, God, you invite us—empty handed though we are—you invite us to be part of your plan to heal and renew and bless this world through the unconquerable love of your Son Jesus Christ. Thank you for that invitation, God. And as we give back to you now a portion of what is yours to begin with, Lord will you transform this offering into just one of the many ways we say “yes” to your gracious call on our lives? Purify our motives, transform our agendas, and bring our ambitions into perfect alignment with Jesus, because it’s in his name and for your Glory that we pray. Amen. Loving God, in Jesus we’ve discovered that you are generous beyond our ability to imagine. So as we prepare to give back to you a portion of the money that you’ve entrusted into our care, we remember what he taught us. He said: whoever can be trusted with very little can also be trusted with much… and whoever is dishonest with very little will also be dishonest with much… And he said: If we’ve not been faithful in handling worldly wealth, how can we expect God to trust us with true riches? God, we invite your Spirit now to show us the true riches that you want to entrust into our care: riches like the grace, hope and love that is ours in Jesus Christ; riches like the good news about his immeasurable love for this aching world that is ours to share so generously; riches like the real life-purpose, the meaningful mission in the world, the beautiful destiny as His people that is ours to spend so freely. O God, help us to see those riches today. And then God, can you make us faithful in handling this worldly wealth here, today, so that we might learn in a small way what it means to be faithful in handling of the invaluable things of God? Can you teach us, in this act of offering today, what it means to be trustworthy with the small things like money… so that we will grow more and more trustworthy with the big things… the good news of Jesus and the generous gifts of his Spirit. Make us trustworthy with those things, we pray, in his name, and for his sake. Amen. God, in your book you tell us not to put our hope in wealth, which is so uncertain, but to put our hope in you, because you richly provide all things for our enjoyment. And you tell us, too, to do good, to be rich in good deeds, to be generous, and willing to share. You said that in this way, we might take hold of the life that is life indeed. So we ask, Lord, that you would show us where we’ve been putting our hope in uncertain wealth instead of in you. Show us where we’ve been spiritually poor, despite our material wealth. Teach us how to become truly rich in generosity and good deeds. O God, make us want, more than anything, to take hold of the life that is life indeed. And then Lord, take this offering today, and transform it into a sign of that desire in us, the passion for heavenly things that you are kindling in us. We pray in Christ’s name and for his sake. Amen. brimming with bright red wine. This fall I preached an eight-part series on the "I am" statements of Jesus in the Gospel of John. I posted before some general thoughts on the unique challenges and blessings of preaching John. Now that I'm through the series I thought I'd share a few words on the some of the commentaries I used-- binoculars, so to speak, in my quest to spot the eagle. 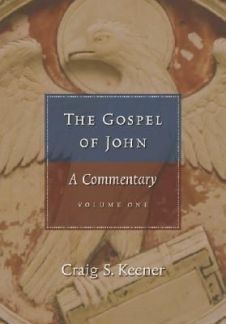 Craig Keener's two volume commentary (Hendrickson, 2004) was an extremely useful resource for preaching John, and perhaps one of the most thorough commentaries on this Gospel that I've seen. In the past, I've really appreciated Keener's balanced and historical approach to New Testament exegesis, and this tome is no exception. Here he offers a breadth and depth of research that fleshed out the most obscure of images, and always drew me deeper into the text. There were times, perhaps, when it felt like his historical references were a bit erudite, at least for the purposes of pulpit ministry; and there were other times when I was looking for a more theological reading of the text than he was prepared to give, but overall it is a veritable treasure-trove of research, and a welcome addition to my spare but slowly growing commentary library. I used John Brown's Anchor Bible Commentary on the Gospel of John quite extensively in seminary and found it often illuminating and always stimulating. The price was a bit too prohibitive for me to purchase my own copy, so I went instead with his "concise commentary," a sort of Cole's Notes for Brown's take on the Gospel. Though it was usually thought provoking, most often I found it a bit too concise for the kind of exegesis I felt necessary to preach these complex texts in a meaningful way. That said, there were a few times when he forced me to step back and get a big picture of the text, where someone like Keener had me lost in the particulars, and in that it was helpful.